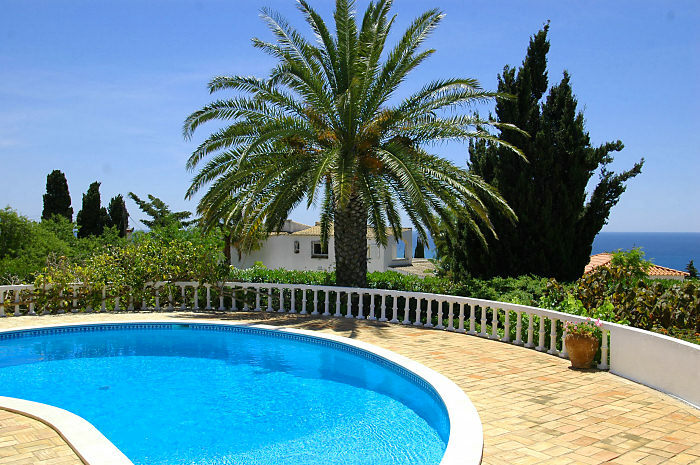 Set in Luz Parque with lovely sea views, this is a villa with plenty of character, but fully refurbished and restored in the last couple of years to a very high standard. 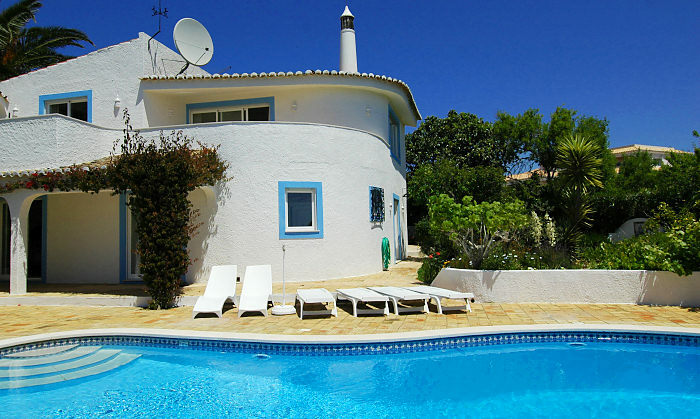 Air conditioning is throughout and you can easily walk to the fine sandy beach (probably the best in the area) as well as many restaurants, bars and shops, or just enjoy the pool and terraces. There are plenty of other very good beaches within a short drive; a bit further is the Atlantic coast where the surfing is said to be superb. Golf and tennis are a very short drive. 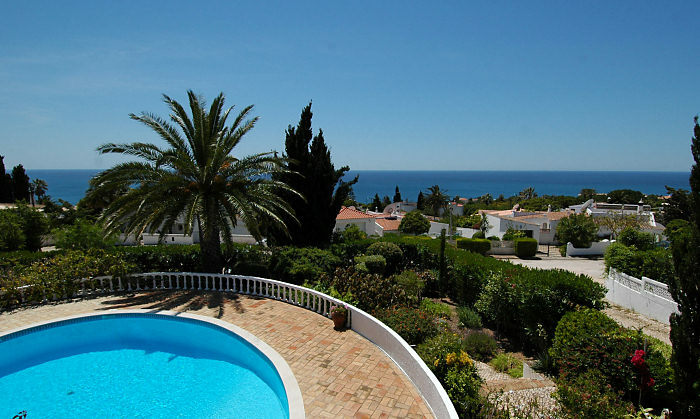 The pool area is very attractive with views of the sea and the famous 'Black Rock' on the coast. The layout makes the most of the setting with the living room and open plan kitchen/dining room upstairs from where there are also very nice views. A nice modern house, suitable for families, offering good value for money. Maid service 5 days a week. Accommodation is in the main house and separate apartment which is adjacent. 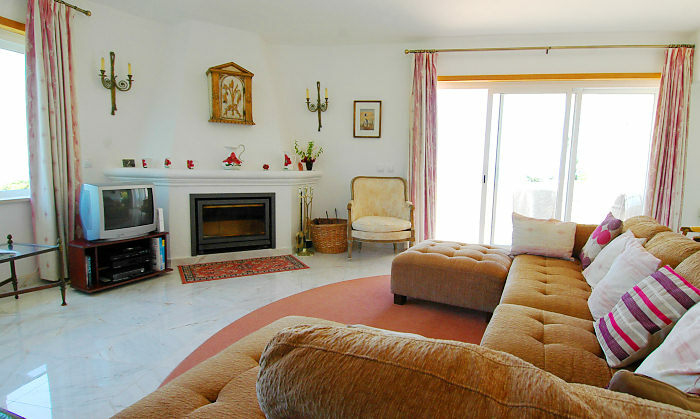 Upstairs in the main house is the living room with sofas and chairs, fireplace and satellite TV, music centre with sea views. This leads into the open plan kitchen and dining room. 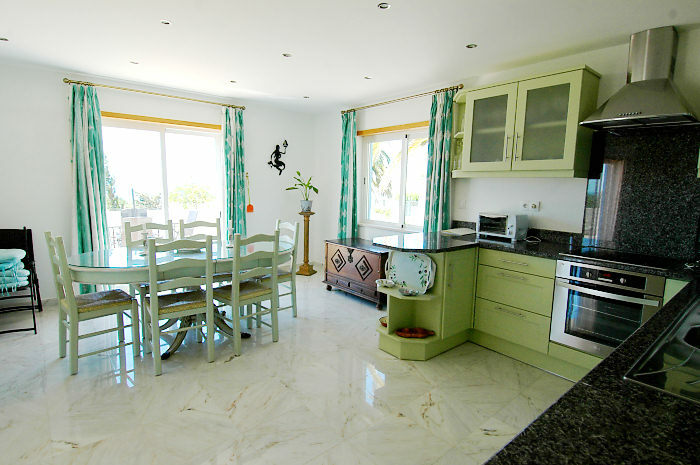 The kitchen is modern and fully equipped with dishwasher, fridge-freezer, oven, hobs, microwave, kettle and toaster, and the dining table seats up to 8 and again has sea views. On the entrance level are the bedrooms: the master bedroom has an en suite shower room and the twin and single rooms share a bathroom. 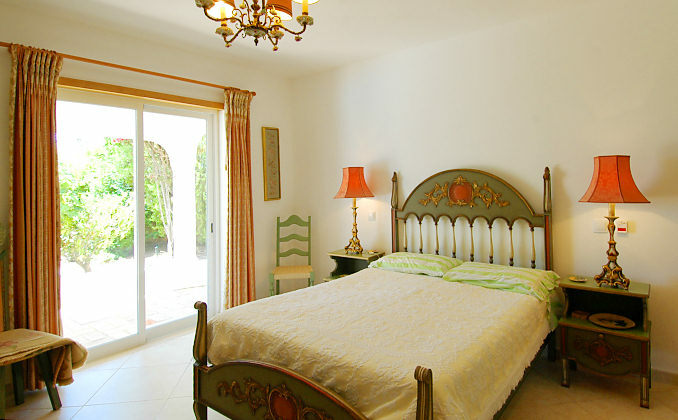 All bedrooms lead out to the terrace and pool. 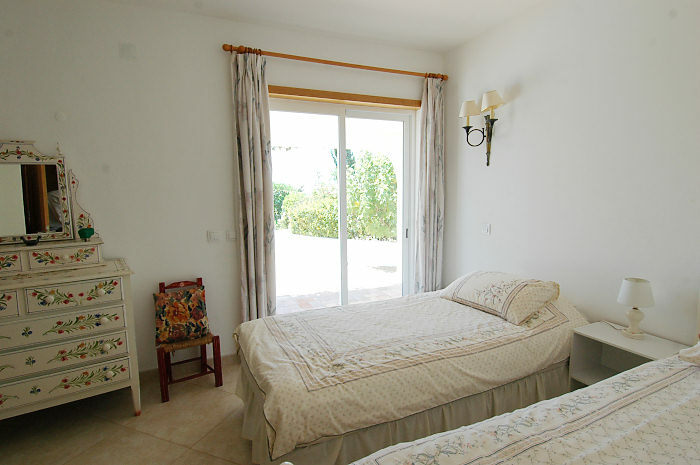 Next to the front door is the separate apartment which has a twin bed/sitting room and large shower room. Annexe is optional at extra £250 per week.